Matthew Beach and William Wood settled on the lands to the east of the red line. John Boyd Thacher purchased the portion to the east of the yellow line. 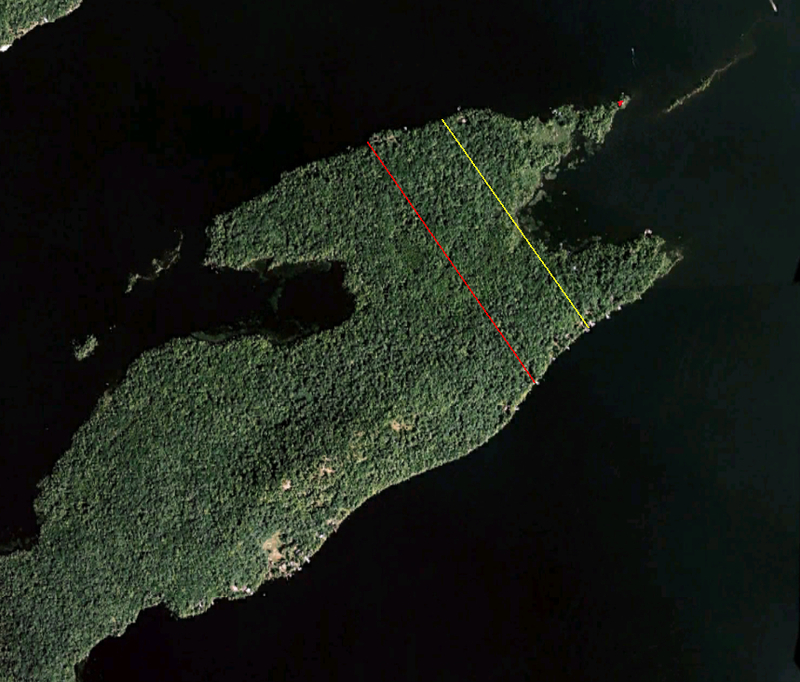 The small red dot is the location of the little red cabin built in 1910. Echoing across time, this question can be asked three ways. Who were the Indians of its namesake? Why did Matthew Beach and William Wood choose it for their home? Why was John Boyd Thacher enticed to buy these acres? According to local lore, Indian Point was the site of an Indian settlement. 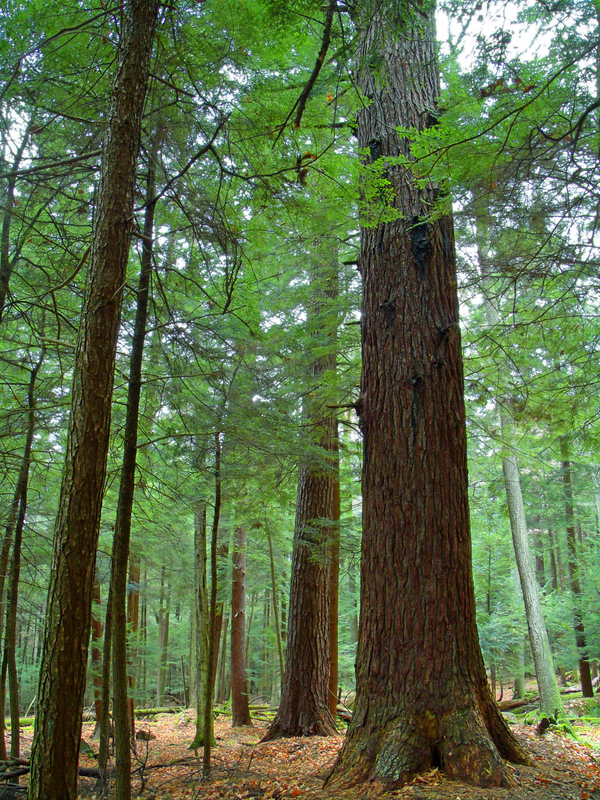 The earliest such reference was made by Joel Tyler Headley in The Adirondack: or Life in the Woods, published in 1849. Guy Johnson’s 1771 Map of the Country of the VI Nations. New York State Museum. In Adirondack Pilgrimage, Paul Jamieson makes the argument that the Albany Road (sometimes referred to as the Old Military Road) constructed for the War of 1812 actually followed the path of an Iroquois trail which dates back to the 1600s. Jamieson mines the first person writing of a Jesuit Priest named Joseph Poncet who was captured by Mohawks in 1653. 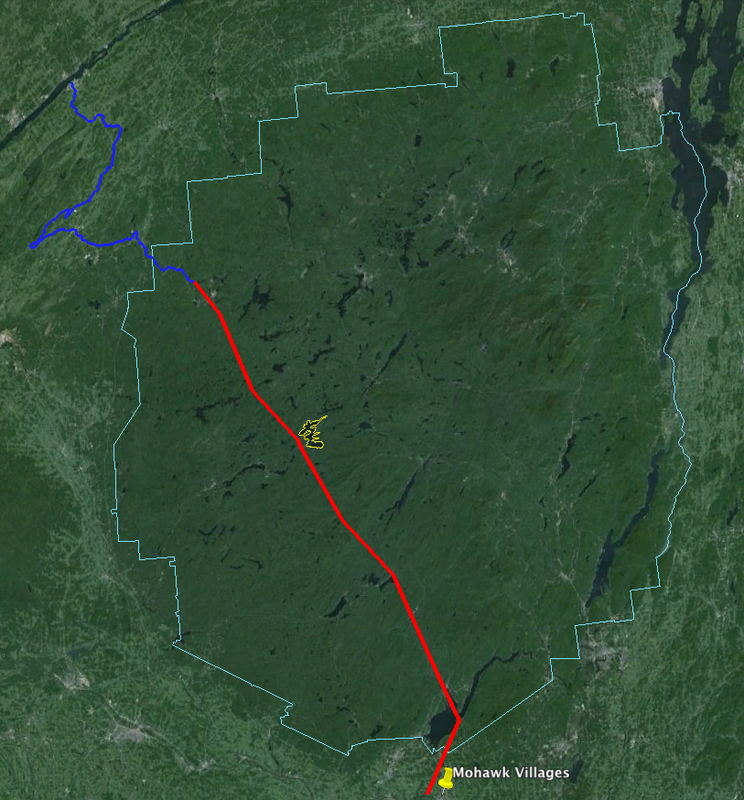 Poncet’s description combined with Jamieson’s research and that of Stephen B. Sulavik in Adirondack: Of Indians and Mountains 1535-1838 yields my approximation of the heavily travelled Mohawk trail which passed just to the west of Raquette Lake, traveling from the Mohawk River Valley to Canada. The foot path led through the forest to the Oswegatchie River by which the Indians canoed to the St. Lawrence River. Beyond the evidence of this Mohawk trail passing close to Raquette Lake, the only other history which directly connects the Mohawk Indians with the lake is the escape of the Tory Sir John Johnson from Johnstown to Montreal in 1776. His Mohawk guides brought him through the woods to the shores of Raquette Lake and then by canoe north to Canada, a tale which will be retold in a future chapter. 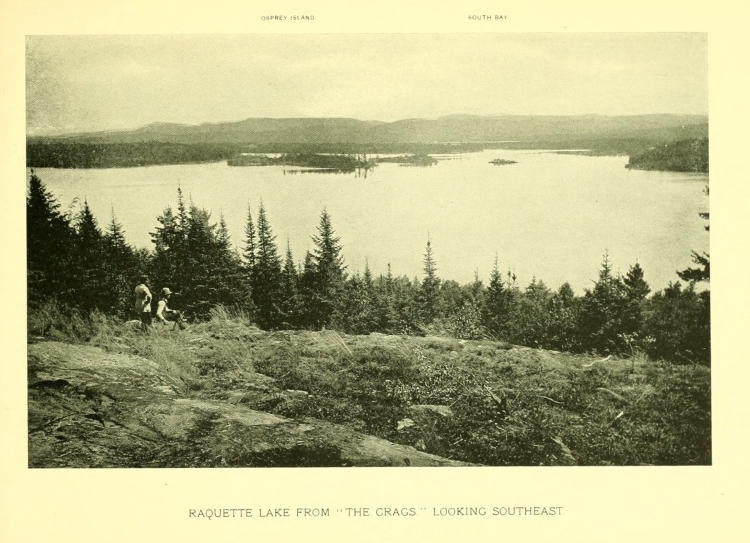 This scant evidence implies that the Mohawks were well acquainted with Raquette Lake for over a century. But did they have an encampment on Indian Point? There are no contemporary written histories which specifically speak of the use of Indian Point by the Mohawks. My conjecture is based on descriptions of how large hunting parties of Mohawks would travel from their year-round villages along the Mohawk River to encampments in the Adirondacks from November to late January. If we can assume that such a winter hunting camp existed on Indian Point, why did the Mohawks choose this location along the almost one hundred mile shoreline of Raquette Lake? I believe it is the geography and topography which influenced their choice. 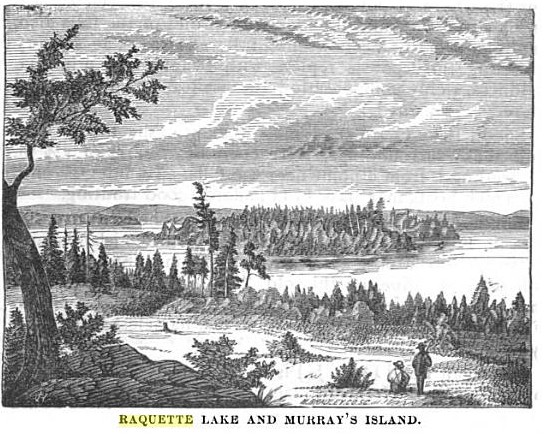 In this context, the Mohawks would have benefited from siting their winter hunting camp in a location on Raquette Lake which could be defended and from which they could observe any approaching enemies. Indian Point possesses a unique geological feature called the Crags, a series of three rock outcroppings at the top of the ridge line on the peninsula. At an elevation of 2000 feet, even today one can see all the way to South Inlet, and anyone approaching from the Marion River or Brown’s Tract Inlet would be seen at least an hour before they could land on the shores of Indian Point. To the northwest, one can see Sucker Brook Bay. While today the tree cover does not provide a view to the northeast, images from the 1800s indicate that the Crags were almost clear of trees and it is highly likely that a lookout stationed there in the 1600s and 1700s would have also been able to see anyone rounding Bluff Point to the northeast of Indian Point. Looking South from the Crags – a wood cut printed in Wallace’s Descriptive Guide to the Adirondacks. 1872. Photo from the Crags by Seneca Ray Stoddard. circa 1880. While the Crags may have led the Mohawks to choose Indian Point, where along the shores of the peninsula was the hunting camp? As the camp would have been used mostly from November to late January, I suspect a location sheltered from the worst of the cold winds blowing across Beaver Bay or North Bay. Either of the two protective coves would have served well, the cove near Hen and Chickens Islands or the little bay between the two points on the eastern tip. 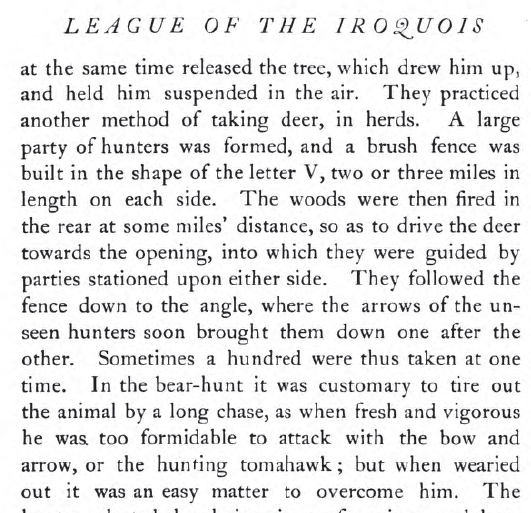 League of the Ho-De-Nau-Sau-Ne or Iroquois by Lewis Morgan. 1922. The construction of a V-shaped fence that stretched two to three miles on a side would have required significant manpower. If the Indian “settlement” on Indian Point was a winter hunting camp, it likely was the temporary home to at least fifty or more people. 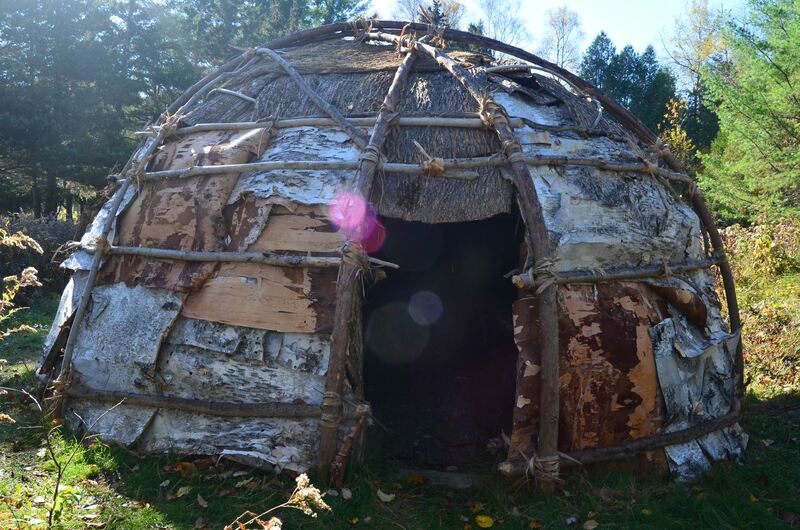 A young Mohawk woman named Kateri Tekawitha described one style of temporary shelter used in a winter hunting camp in the late 1600s. The Life and Times of Kateri Tekawitha: the Lily of the Mohawks 1656-1680 by Ellen Walworth. 1893. This depiction has been faithfully recreated by Barry Keegan, an expert in primitive Native American structures, in his construction of a traditional wigwam on the shores of Prospect Point on Blue Mountain Lake. 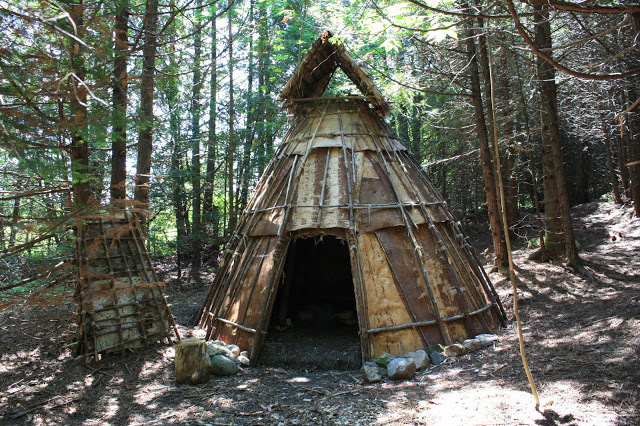 A traditional wigwam hunting-lodge constructed at Prospect Point on Blue Mountain Lake by Barry Keegan. Photo by Jerry Krasnick. The “hunting-lodges of bark and close-woven boughs” referred to by Kateri or the bark tee pee style described by Jogues appear to have housed a small family of five to ten people. To accommodate upwards of fifty to one hundred people, the winter hunting camp on Indian Point would have required up to ten lodges. The annual construction of these lodges for over a century would have established significant forest clearings on Indian Point. 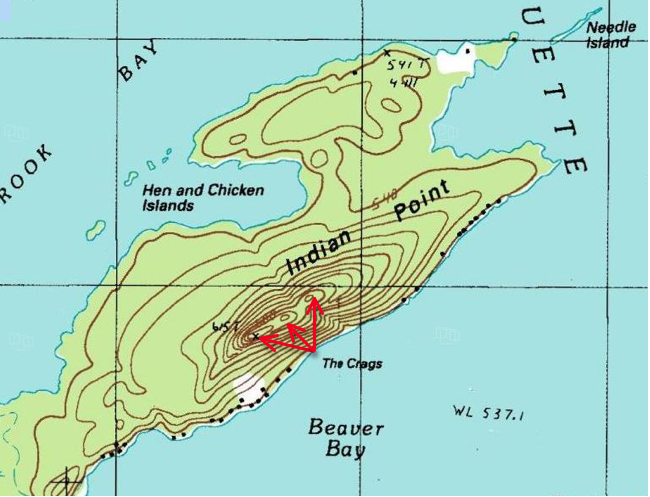 My theory that the hunting camp was on the shores of the little bay nestled within the eastern tips of Indian Point is tied to the reason I believe Matthew Beach and William Wood chose to settle at that spot. My theory echoes one regarding land use in the Adirondacks first promoted in the late 1800s in an article in the New York Times. 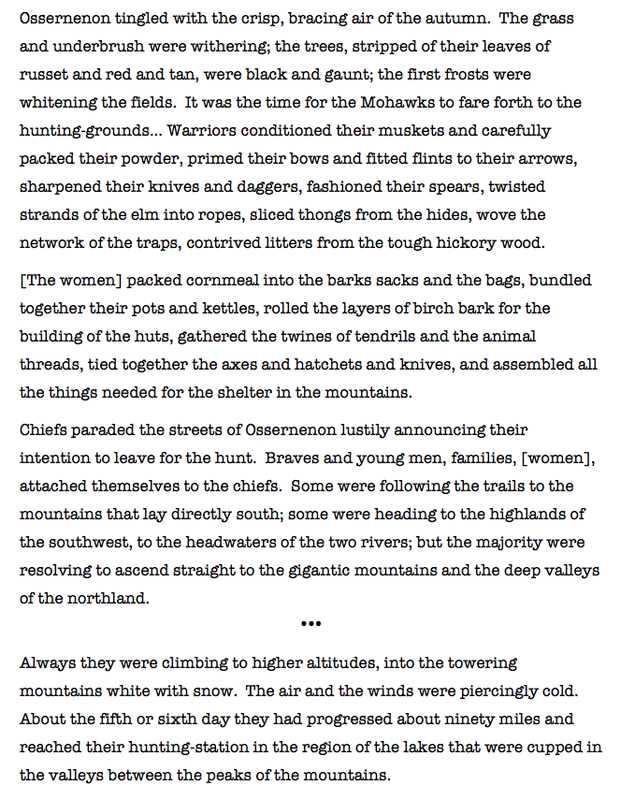 “The North Woods of Old” The New York Times. May 11, 1890. The site of the Mohawk hunting camp would not have been open land by the 1840s. 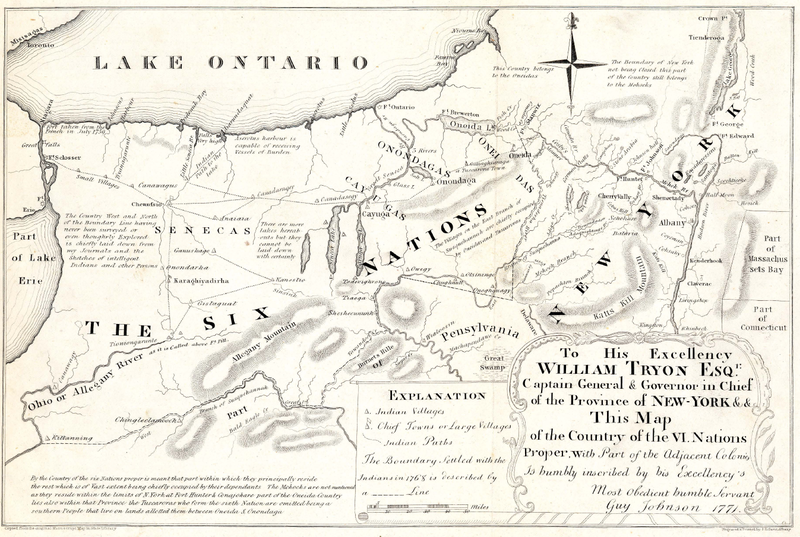 The majority of the Mohawk Nation relocated to the St. Lawrence River Valley on both sides of the New York/Canadian border after the Peace Treaty of Canandaigua in 1794 between the Iroquois Confederacy of the Six Nations and the new government of the United States. 6 Although Mohawks continued to come down from Canada into the Adirondacks for hunting in the early 1800s, it is likely that secondary forest regeneration began to take hold of the area of the hunting camp on Indian Point. Beach and Wood were not simply hunters and trappers. They also cleared ten acres of cropland to grow potatoes and vegetables. When they first travelled the shores of Raquette Lake in search of where to stake their claim, Beach was nearly sixty years old and Wood was in his early forties. I am sure they had a strength and vigor beyond what this author is capable of at 46, and they were accustomed to hard physical work. 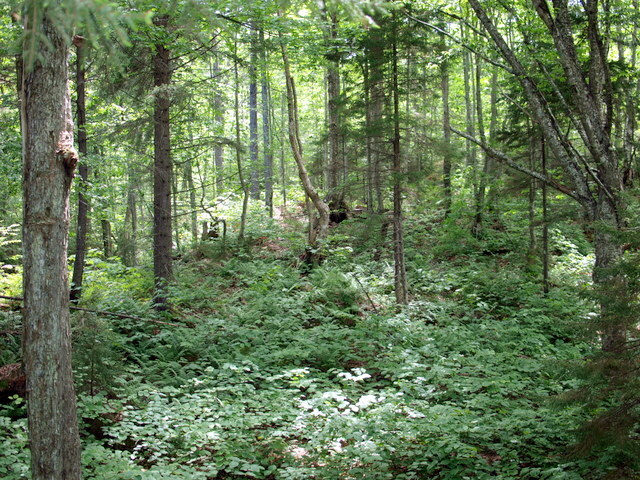 Nonetheless, knowing that they intended to clear the land for farming, an area previously cleared by over a century of indigenous use yielding a young secondary forest would have been easier for Beach and Wood to clear with fire and axe than the surrounding primary forest of large diameter trees with deep rooted trunks. Beach and Wood chose the twin tips of Indian Point because of the land use potential derived from the remains of the Mohawk hunting camp. Conversely, the purchase of this land by John Boyd Thacher is puzzling in that it appears that he never really used the land. It was his father George Hornell Thacher who built and frequented the mysterious original cabin, and yet the title to the land was always only in JBT’s name. Could it be that JBT was motivated to buy the lands for their historical value? In 1893, he purchased four historically important Iroquois wampum belts. 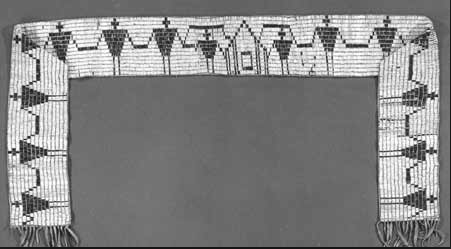 9 The Hiawatha Wampum Belt was created in the 1500s to commemorate the union of the Five Nations of the Mohawks, Oneidas, Onondagas, Cayugas, and Senecas into the Ho-dé-no-sau-nee or Iroquois Confederacy. To the Iroquois, this wampum belt is equivalent to the original copy of the Constitution of the United States. The George Washington Wampum Belt commemorates the Treaty of Canandaigua of 1794 which brought peace between the newly formed United State of America and the Iroquois Confederacy. 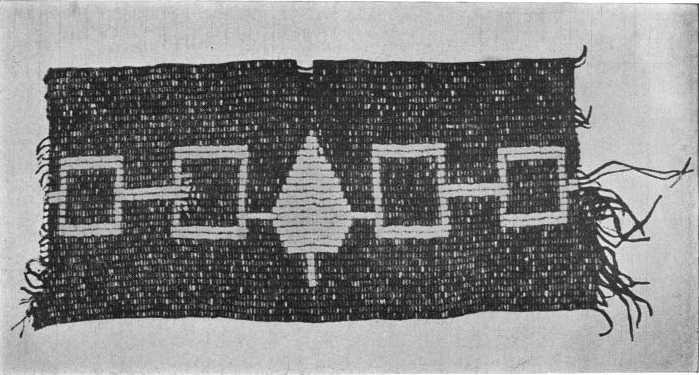 The other two wampum belts commemorated the first encounter between the Iroquois and European explorers in the 1500s and their encounter with Samuel Champlain in 1609. Given John Boyd Thacher’s clear respect and appreciation for the culture of the Iroquois Confederacy in his later years, I do not think it unlikely that as a young man of thirty he would be attracted by the folklore of an “Indian settlement” that once graced the tips of Indian Point. This entry was tagged Adirondack, Adirondack maps, Adirondack Mountains, Adirondack Museum, Indian Point, Iroquois, John Boyd Thacher, Matthew Beach, Mohawk Indians, Raquette Lake, Sir John Johnson, William Wood. Bookmark the permalink. Interesting chapter Tom! Good work. Tom theres a large rock in front of the cabin that my mother pointed out to me as a small boy and on it is true compas headings, north south east and west, and she told me that her Dad had shown her so she asked the question did you put that there dad, and his reply was nobody in our family knows who put that there that it had been there when he started coming to Raquette Lake and shown to him by a family member, and something that I have pointed out to my son and my brother to his family. Thats a question to be asked, who might have put that there but for obvious reasons surely, alittle trivia about the point.